Looking for the 2016 deer and elk outlook? Idaho big game hunters could have a hunting season to brag about this fall, and deer hunters could see the best hunting in more than 20 years and potentially a record harvest for white-tailed deer. “Things are going really well in a lot of the state right now,” Fish and Game’s state game manager Jon Rachael said. Idaho Fish and Game biologists have lots of reasons to be optimistic. Four consecutive mild winters have helped deer and elk herds grow, and resident and nonresident hunters are showing renewed interest by buying more licenses and tags. Hunters last year had the largest deer harvest since 1992, and the largest elk harvest since 2005. This fall’s harvests could match or top last year’s, depending on how many hunters go into the field and what kind of weather and hunting conditions they get in the fall. Hunters harvested 61,200 deer in 2014, which is 12,100 more than in 2013, and the most since 1992. Harvests of whitetails and mule deer were both up in 2014, and Idaho recorded its third-highest whitetail harvest of all time. Fish and Game sold 157,400 deer tags last year, which was the most since 1993, and statewide success rate was about 40 percent for those who went deer hunting. Fish and Game’s annual winter monitoring also showed the highest winter mule deer survival since its intensive monitoring program began 15 years ago. Each winter, Fish and Game staff traps and radio collars adult mule deer and fawns in 14 locations across the state and monitors their survival through winter. Fawn survival rate over winter was nearly 80 percent, topping the previous high in the 2004-05 winter. By comparison, during the worst winter in the program’s 15-year history, about 25 percent of fawns survived. Winter is the major regulator of deer populations, and while more deer survive mild winters, mild is not always good. Drought can mean less forage available for animals, which means they can be less fit to survive the upcoming winter. However, even in years with low snowpack, well-timed rains in the spring and summer can improve forage for big game. Biologists also said more than 95 percent of mule deer does that were radio collared in the last two years survived each winter, and healthy does typically produce twin fawns that quickly grow herds when conditions are favorable. Fawn survival is a key indicator of the health of deer herds, and also of future hunting success. Last year’s male fawns become this year’s young bucks that make up a large portion of the annual harvest. Also, mild winters mean a good carry over of mature bucks. Each year, Fish and Game measures some trophy-sized bucks during the season, and this year will likely produce more than usual thanks to several mild winters. While mule deer populations are up statewide, Rachael cautioned that doesn’t mean they will be evenly distributed. During dry years, deer tend to congregate around water and at higher elevations. During wet years, deer can be dispersed through a lot of country. Fall weather is also a big factor for hunter success. Rainstorms and/or early snow typically mean higher success rates than warm, dry weather, especially during October general seasons. “There’s no reason to think that whitetails won’t be doing very, very well this year,” Rachael said. White-tailed deer, which dominate Northern and Central Idaho, are doing excellent. Hunters took 28,200 whitetails in 2014, which is 5,100 more than in 2013. 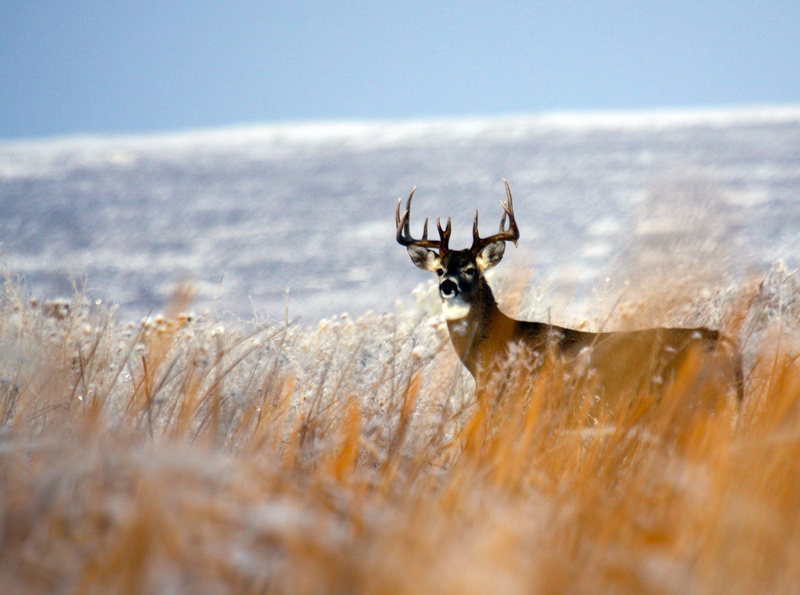 Whitetail harvests have grown five out the last six years and are currently above long-term averages. If trends continue this year, hunters could top the all-time whitetail harvest of 29,800 set in 1996. 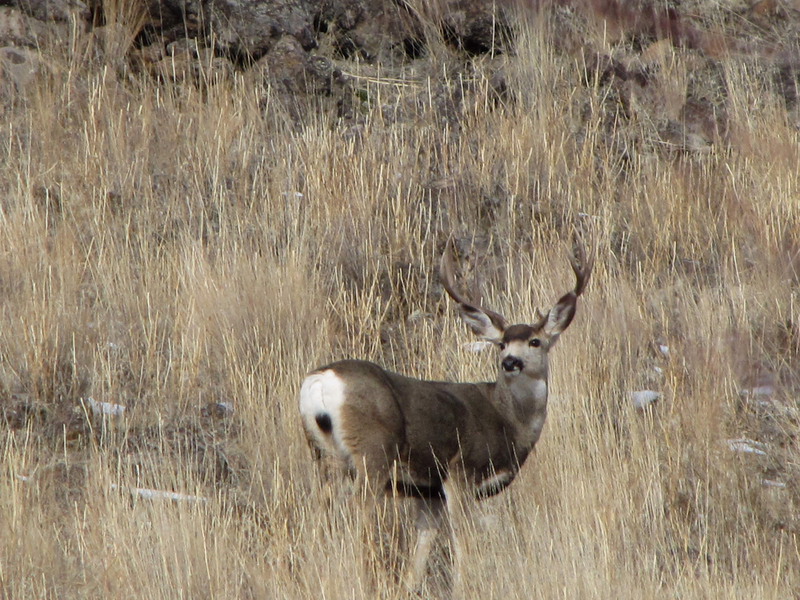 Fish and Game does not monitor whitetails in the same ways it does mule deer. One way Fish and Game monitors whitetail populations is through hunting statistics, such as success rates, percentage of mature bucks, and numbers of days hunters spend pursuing whitetails. But the dry summer, especially up north, has him concerned about the condition of deer heading into winter, and a harsh winter could mean trouble for whitetails. There have been scattered reports of dead whitetails in Clearwater Basin, which could be caused by epizootic hemorrhagic disease, commonly known as EHD. The disease is spread by biting gnats and poses no threats to humans. There are no confirmed cases yet, but the disease has hit whitetails in the past during late summer. Overall, Fish and Game has seen growing interest in deer hunting in recent years. Tag sales have increased every year since 2011, and if that continues, and success rate for hunters remains the same or similar to last year, Idaho hunters could see the best deer hunting in decades. 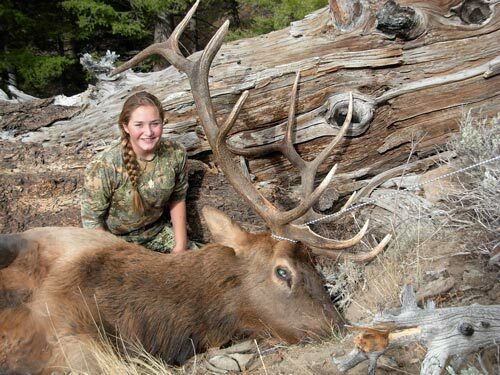 Idaho’s elk population and hunting success is more complex than deer hunting, but elk hunters also did well last year with the largest harvest since 2005 and an overall success rate of about 24 percent. Hunters bagged 20,700 elk in 2014, which was 4,200 more than 2013 and the most since 2005. Elk tag sales and harvests have increased for three straight years. “We’ve had a few good years and some positive feedback from hunters,” Rachael said. If the short-term trend continues, there’s a fair-to-good chance more hunters will go into the field in the fall and kill more elk. This year’s harvest could again top 20,000 elk, which has happened only five times in the last 20 years. Word has gotten out that elk hunting is rebounding in the state, and that coupled with an improved economy that allows more nonresidents to travel, means more hunters are taking advantage of it. Fish and Game sold 93,100 elk tags last year, which is 4,400 more than in 2013 and the most since 2008. The correlation between elk tag sales, harvest and success rate has been interesting in recent years. Fish and Game sold more than 90,000 elk tags annually between 1995 and 2008, then participation in elk hunting gradually declined. In 2009, tag sales dropped below 90,000 for the first time in 13 years and bottomed out at 82,950 in 2012. Between 2005 and 2011, there was a similar declining harvest trend, except for a one-year bump in 2010. But in recent years, success rates and harvests gradually increased as hunters started seeing more elk. It’s likely a combination of mild winters, intensive predator management and improved economy that has led to the resurgence of elk hunting in Idaho. Even with some difficult years, the average elk harvest over the last decade was 18,000, which is about 2,000 elk more than the 50-year average. Managing elk populations is different than deer populations, which tend to be more boom and bust. Elk are fewer in numbers, and populations trends tend to be more gradual compared with deer. Prior to the federal reintroduction of wolves in 1995-96, Fish and Game’s focused on bear and mountain lions when it need to manage predators to boost elk herds. As wolf populations grew, but still remained federally protected, Fish and Game’s primary response to declining elk herds in wolf country was limiting hunting opportunity. “Things have definitely changed since 2008-09 when we had the highest density of predators,” Rachael said. Federal protection was removed in 2009, allowing Fish and Game to manage wolves more like bears and mountain lions. Idaho had its first wolf hunting season that year, and Fish and Game has continued wolf hunts every year since, except 2010, when wolves were temporarily placed back under federal protection by court order. Hunters and trappers have harvested about 1,300 wolves since 2009, resulting in a lower population, but still well above the minimum wolf population required by the federal government. Hunting and trapping wolves have benefitted elk herds with higher elk survival rates in several areas of the state. The Sawtooth elk zone in Central Idaho is a good example of the situation. In 2009, Fish and Game restricted the number of elk tags available to limit to the harvest. Even with limits on the number of tags, some went unsold because hunters weren’t seeing the numbers of elk they were accustom to seeing, but they were seeing lots of wolf sign. Fish and Game liberalized wolf hunting in the area, and hunters responded by taking more wolves. Since then, elk herds in the Sawtooth Zone have started to bounce back, hunter interest has returned, and both resident and nonresident tags sold out very quickly this year. While statewide elk hunting is improving, it’s not happening in all areas that elk inhabit. Idaho is divided into 29 elk management zones, and the department has population goals for 22 of those zones. Elk herds currently meet or exceed management objectives in 16 of 22 zones for cow populations, and in 14 of 22 zones for bull populations. Managing elk herds in agriculture areas is another balancing act to provide hunting opportunity while minimizing damage to private property caused by elk. Fish and Game responds to property owners’ complaints about elk damage and helps reduce them by allowing more elk hunting opportunities on lands adjacent to agriculture. Elk herds are commonly found near agriculture land, and F&G provides extra hunting opportunity where elk cause damage to private property.